Own the new Alien 4K Ultra HD Anniversary Edition today! Hey guys. I looked rather quick if there was a discussion on this subject already but I didn’t see any so I’m opening up this one… If there was one already then I’m sorry I guess (most forums I've joined have "Search Topic" buttons but for the life of me I couldn't find it here). If there was one please send me the link of the thread. 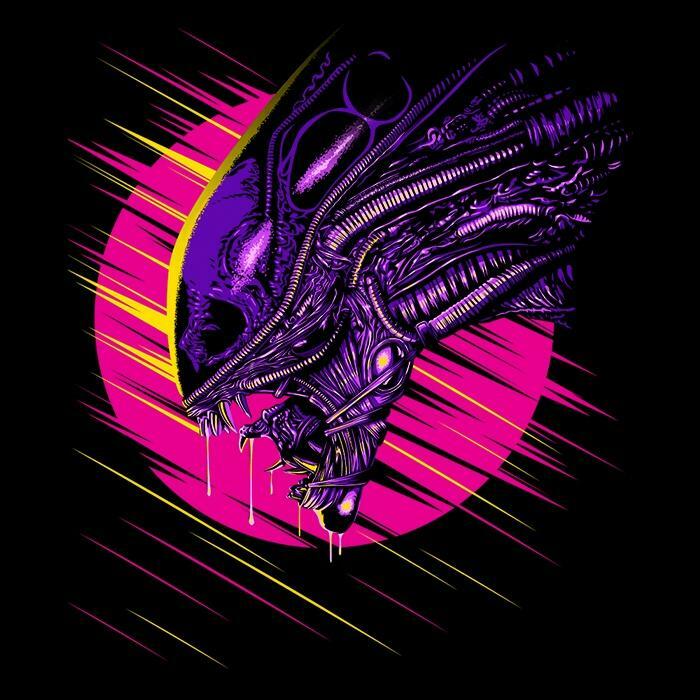 So I’m curious to know what are your favorite “Alien” like movies? To see if I discover some cool flick that I don’t know about and so we can all share our picks. It doesn’t have to be a movie with an alien in it, it can be just a sci fi movie with an “Alien” vibe to it. My picks I´m sure are a bit mainstream and they’ll probably be in most “Alien” fans lists of favorite “Alien” like movies, but I think there’s one or two there that aren’t that well known. First I have to say one of the most obvious ones, and it’s “Event Horizon”. Ever since I first saw the movie, shortly after it came out, I absolutely loved it and thought it was incredibly atmospheric, creepy, entertaining and just a great flick. 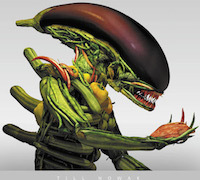 I was surprised at the time to see the bad reviews it gardened, and lot of people just dismissed it as a cheap “Alien” clone, but I really never saw it that way… It’s obviously heavenly inspired by “Alien” and other horror movies but I didn´t see it as a cheap knock off. Also, I’ve seen a lot of people talking about it saying they like it in a “so bad its good way”, but that’s not the way I see it at all, to me it’s a genuinely good movie… I mean it’s not perfect, and yeah it’s got pacing issues and problems here and there but all in all I think it’s a very solid flick. In recent years I’ve seen that the movie has gardened a cult status among a lot of horror fans and I think that’s really cool, I think it deserves it. The next one is another rather obvious pick, and it’s “Pitch Black”. This one has a way more similar plot to “Alien” than probably all of the other movies I’m gonna list here, but despite that I think somehow it worked, it’s a really well done movie with beautiful visuals, a cool protagonist anti-hero, and memorable monsters. Btw, I appreciate the director’s intent for trying new things with the sequels and not rehashing the first one, but sadly, I didn’t think they worked so well (well the second one, because I never got around to see the third one). The third one I think is a little bit less know and it’s a movie called “Pandorum”. Much like “Event Horizon” it’s a movie I greatly enjoyed despite the fact that it has its share of flaws and that it garnered mostly negative reviews when it came out. The movie has a strong “Alien” vibe to it, I liked the mystery that surrounded the plot, I liked the characters, and I especially really liked the twist ending… I though it did exactly what a good twist ending should do, it surprises you a lot because you don’t see it coming but it totally makes sense in the context of the movie. Sadly I think one of the most forgettable aspects of it were the “monsters”, they were kinda generic and not very menacing to me. When the movie finished I was left with the desire to see a sequel but alas, I doubt it will ever happen. This next one has more of an “Aliens” vibe than “Alien”, and in this case I do admit it’s one of those movies I enjoyed in a “so bad is good way”, but nevertheless it’s a got a couple of genuinely great moments and really cool vfx for the time, and its “Deep Rising”. I always found that movie incredibly fun in a cheesy way, and I really liked the design of the monster and how it dispatched some of the characters… The scene with the half-digested guy who was still alive was forever ingrained in my brain because of how realistic and creepy it looked. Overall a really fun film if you don’t take it very seriously. Another one is Danny Boyle´s “Sunshine”; I really liked the movie and although a lot of people criticized the turn it makes in its third act, I didn’t mind it much. A lot of scenes gave off “Alien” vibes to me. This one the filmmakers openly admitted to being directly inspired by “Alien”, and it’s the Jake Gyllenhal movie “Life”. I really liked it, despite the fact that a couple of scenes and character choices throughout the movie didn’t make much sense to me. Also, for some reason I found the alien way more menacing when it was small than when it grew way bigger later on in the movie. Guillermo Del Toro's "Mimic" is another one that I really liked and gives off strong "Alien" vibes. As I understand, much like what happened with "Alien 3", Del Toro had a lot of problems with the studio meddling with the movie and I think he was not happy with the final result, I would have love to see his original cut, but as it is I think the movie is really cool and creepy nonetheless and it has great creature design. And for last, it’s not actually a movie but a vignette. There’s this really cool anime movie called “Memories” made up of three different short stories; one of these stories, the first one in the movie, is called “Magnetic Rose” and it takes place on a derelict spaceship and to me it has a really big “Alien” vibe to it, it’s a really cool animated short (I haven’t seen the other two though so I can’t recommend them). So, those were my picks for favorite “Alien” like movies, what are yours? You're choice selections are excellent. Personally my favorite of your picks is Sunshine! Such an excellent film. Also much love from Pitch Black/Riddick and Event Horizon. I would like to add Cube: Zero (hardly surprisingly given my avatar) but it has always felt like an Alien film....without the Alien. Another selection would be Splice. Decs Nice post! I would agree with a lot of entries here- some I have not seen. I would have to add Species in the mix. For bonus points, Giger was involved. Moon has an Alien feeling to me, almost you can feel a derelict is waiting to be found. Marooned on that planet, another Ridley Scott film, the Martian. Ms. Vickers again, as the Astronaut's Wife. Melancholia - last days on Earth as a planet is on the collision course with the Earth, features Wagner music as well. This reminds me of a thread we had listing off the beaten path sci fi that is good watching. I think Nin did that one? I'll scroll through my history lol. Totally agree with Pandorum Event Horizon and Mimic. I'll add The Thing(1982) Outland and Pitch Black. lets just get the white elephant out of the room. The Thing should go without saying but apparently it needs to be said lol! As long as it's not that 2011 ish rehash. I actually vomited to Starship Troopers but it was my fault lol! It was a good flick. Sean Connery in a Space Western slash Detective Thriller. The production hired model makers Martin Bowers et al & even some of the Nostromo set was used, making it feel very connected to the ALIEN timeline. Basically ALIEN underwater & not a bad little movie. Starring Peter Weller of ROBOCOP fame. Think LEVIATHAN, though nowhere near as enjoyable! Mario Bavas cult horror has many ALIEN & PROMETHEUS moments worth checking out. O'Bannon cited its influence on MEMORY/ALIEN, 'nuff said! I love both versions. Philip Kaufman's remake, along with Carpenters The Thing, both make my top five, they are every bit as good as ALIEN. I have always felt that ALIEN, THE THING & INVASION OF THE BODYSNATCHERS are connected. It's not just that they were made within a few years of one another, or that Veronica Cartwright stars in two of them. You can easily believe that they are happening around the same point in time. Plus, they all contain horrific shape shifting body horror, with interconnected creatures, pods/eggs, transformations & a similar sense of foreboding & paranoia. I have not seen Leviathan but it does look very 'Alien'. the full film is on youtube here! I'll be watching asap! Deep Star Six I remember seeing as a kid and thoroughly enjoying. I recently re-watched in on Youtube but it looks like it has now been removed. It didn't age well, but still had some memorably tense scenes. Damn Nin is on it this weekend! Hey I Raptus! Thank you for the compliment to my list, I do think all of the movies I listed are truly great. You know, despite being a quite famous cult movie I’ve never seeing “Cube”, but I really want to. I’ve never saw “Cube Zero” either, but I saw a big chunk of “Cube 2: Hypercube” on TV and it really wasn’t my cup of tea, I didn’t like it much, but maybe it was because I had never seen the first “Cube” and because I caught it when it had already started… Maybe I’ll give it another chance some other day after seeing the first “Cube”, and then I’ll try to catch “Cube: Zero” (that’s the third in the series right?). About “Splice”, man, that movie really left me conflicted… I really liked some aspects of it and really disliked others. The creature design and animation was excellent though. I was greatly reminded of it last year when I saw “The Shape of Water” and I’m pretty sure Guillermo del Toro saw it and liked it cause he used one of the actors of that movie in “The Shape of Water”. And well “Starship Troopers” has a really strong “Aliens” feel to it, although not very “Alien” to me. Hey dk! You know? I thought for quite a while whether to include “Species” on my list but I finally decided against it, and I’ll try to explain why even though is kinda hard to explain… So yeah, on the outside “Species” is a movie about a killer alien, designed by none other than H.R. Giger of all people, but despite that, to me, it never really felt like an “Alien” movie… A big part of the “Alien” vibe to me was the isolation, the claustrophobic feeling, the creepiness of the setting, and “Species” to me have none of those things, the movie has more of a police procedural vibe or an action thriller vibe than anything else, with its scenes in crowded cities and discos and chase sequences and so forth. Now that’s not to say “Species” isn’t one hell of a fun movie, because it is, I really liked it, and to be honest the movie REALLY rattled my teenage hormones when I first saw it, I could not believe how impossibly beautiful Natasha Henstridge was in that movie, but I digress lol… “Species” is a really cool movie but to me it doesn’t have that “Alien” vibe despite being about a killer alien. I have never seen “They Live” but I’ve read a lot about it. For some reason when I think of that movie I always think of the NES game “Bart vs The Space Mutants” lol, the whole premise of the game is a reference to that movie. Now as for “The Hitchhiker Ride to the Galaxy” I found that movie really weird and funny but didn’t feel very “Alien”ish either, to me at least. Hey daliens! Well I absolutely loved “Moon” although when I saw it I don’t remember having it felt an “Alien” vibe to it, but now that you mention it yeah, mostly the beginning has an eerie and kinda creepy feeling of isolation. Now as for the “The Martian” I think that was a great movie but that one to me doesn’t have an “Alien” vibe at all, I saw it as a pure survival movie with a lot of humor and tension thrown in. “The Astronaut’s Wife” is really cool and that one does have some “Alien”ish feel to it, nice pick, didn’t remember that one. “Another Earth” is a movie I’ve been wanting to see for years and years and it always falls through the cracks, I never got around to watch it. I’ll try to bring myself to finally watch it soon. Hey ninXeno426. “The Thing” is a good pick! Although (and I pretty ashamed to admit this) I’ve never seen it like, complete from beginning to end, I’ve seen chunks of it and it does have a strong “Alien” vibe to it. “Outland” is the first movie in this thread I have never heard of… I'll look into it! It was exactly for recomendations like this one that I created this thread. Oh and I'm also gonna check out the thread you posted about the off the beaten path sci fi movies. Hey Lone! I really like your pics. Like I’ve just said I never heard of “Outland” before but it’s the second time someone mentions it on this thread so I’m definitely going to have to check it out. “Deepstar Six” is one I definitely forgot to add to my list! I really liked that movie when I watched it as a kid despite it being kinda cheesy and some of its special effects not ageing as well as other movies from that time, and it does have an obvious “Alien” vibe to it. Good pick! I haven’t seen any of the latter ones you mentioned, “Planet of the Vampires”, “IT! The Terror from Beyond Space” and “Invasion of the Body Snatchers” because despite the fact that I consider myself a huge cinema lover, for some reason I’m not very keen on watching movies prior to the seventies, so my knowledge on those films is very very weak. I would like to watch them someday though, but I think I would have to look for someone to watch them with me because I know I’ll probably won’t bring myself to watch them alone, cause I’m probably always gonna end up picking a more modern flick to watch. Oh I’m gonna add two to my list that I forgot in my original post. The first is one of my favorite movies of all time, James Cameron’s “The Abyss”. An absolute masterpiece in my opinion (the extended version is even better). The other is a little known sci fi movie called “The Europa Report”. I found it really really cool and despite having an obviously small budget they really make it count. The movie has a very “Alien” feel to it and a really cool ending. Decs Yeah- I went OT but that happens around here. It is hard to find movies like Alien and so things devolve into classic or obscure sci fie movies. If you have not seen Cube Zero- you need to see it. It makes the whole series make sense- fantastic movie! The Cube- Hypercube you saw was a dud imo and the worst one to watch if you haven't seen the others. I promise Cube Zero will change your mind. The proper way to watch is Cube Zero and then Cube. I wouldn't bother with Hypercube. They Live is one of those sci fi b movies you have to see- you will know why when you see it. I guess I would say Pandorum felt the most Alieny that I have recently seen. You haven't seen the 1982 JC The Thing beginning to end? That is almost blasphemy! Leviathan is definitely worth your time. Many of us can still appreciate & even enjoy 80's effects & considering it's budget I really think it fares pretty well. I like everyone's picks, makes for a great list! I know what daliens means about MOON. It's no stretch to imagine it taking place in & around the Alienverse. There are lots of elements that many of these movies have in common, a nefarious company or corporation, believable, used-future sets, pretty amazing special effects, including great practical models & monsters. Characters who are generally likeable, well defined & whom we care about. A certain amount of tension relieving humour. A suspense filled story which builds momentum & holds your interest. In general they are Sci-fi horror hybrids. Decs I loved Europa Report, it's a well made little movie. You have to see The Thing & Invasion of The Body Snatchers (1978) Both are absolutely brilliant in terms of story, characters & effects! What's not to love about a Mars set Sci-fi-horror hybrid! Right? I am glad I still have something to watch of this list, when I check for a movie nowadays I mostly find superheroes crap and I'm past that age. Decs I will surely check your fan fiction, especially if it's related to Alien Covenant, a film I thoroughly enjoy. The case with “The Thing” 1982 is really weird because when I was a kid they used to broadcast “Alien” and “Aliens” all the time on the tv channels I used to watch here in my country and those are movies from the same time period as “The Thing” but I don’t remember them airing “The Thing” that much for some reason or I surely would have seen it and enjoyed it… Later on when I was an adult sometimes I would catch it when I was channel surfing, and by then I already knew of its classic status and I always said to myself “Nah I have to watch this movie from the beginning and pay close attention to it, it deserves it” so I kept postponing my viewing of it and well… That was that lol. Now that I relate this shameful story I’m gonna make a promise to myself to finally watch it this year! Lone, you know, it’s funny that you mentioned “The Last Days on Mars” because I saw that movie and I thought about putting it on the list because of its obvious “Alien” vibes but I decided against it because I didn’t really liked it… It wasn’t a terrible movie but I thought based on the trailer that it was gonna be way better and more interesting. There are other movies besides that one that I thought off that have very obvious “Alien” vibes that I didn’t mention because I don’t think they’re particularly good either, movies like “The Relic”, “Red Planet” and “Apollo 18” among others. Daliens, cool! Is a really short story though, if you read it tell me what you think! Hey Decs, I was going to add The Mist, but forgot! It was genuinely scary, the ending was very sad & disturbing! Intruder Within- sounds perfect for the MST3K treatment! Great topic, upvoted AND featured so more fans can discover it. Personally, I loved LIFE and EVENT HORIZON. Another one I've always loved was THE THING, both original and the reboot. Also, I was unaware of some of the films listed here by some of you, surprisingly so thank you for that! I will be looking these up! You're most welcome Decs.Here is a link to a thread I ran on Outland s while which includes a trailer as well as a link provided by Lone to her own editorial on the film. Another movie I might recommend is Ghosts of Mars directed by none other than John Carpenter. It's a pretty fun b movie,very comparable to Event Horizon. dk commented on Own the new Alien 4K Ultra HD Anniversary Edition today! from the Alien: Covenant website! Chris posted a new editorial: Own the new Alien 4K Ultra HD Anniversary Edition today! ninXeno426 replied to Dont Count your Chickens! (Until they have Hatched).